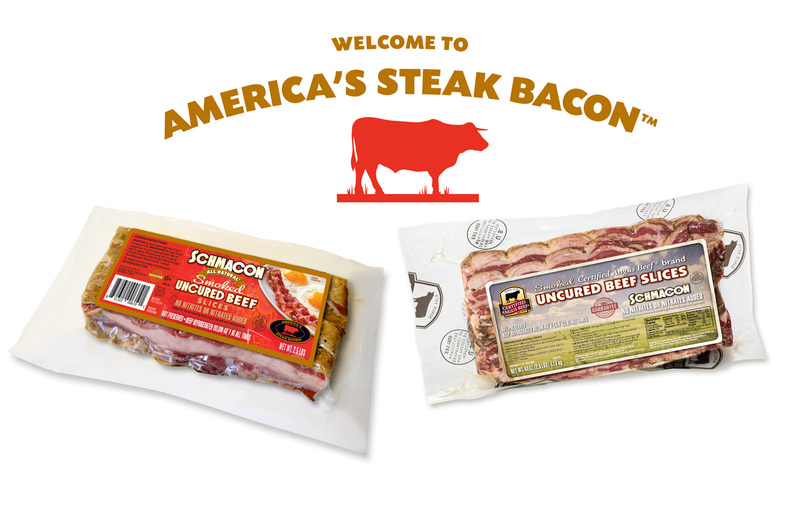 SCHMACON™ & SCHMACON™ Certified Angus Beef® brand Elevate Your Menu. In a business where innovating and differentiating are the name of the game, a product like SCHMACON™ causes a stir. Its smoky, sweet and beefy deliciousness fires the imagination, inspiring creative uses all over the menu. It’s a flavor profile that diners can’t get enough of, and lends itself to so many surprising applications. It can stand on its own beautifully, or lend a hand to other flavors just as nicely. SCHMACON™ is whole muscle beef seasoned with a proprietary spice blend inspired by its deli roots. 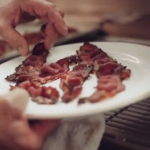 The inventor of Schmacon, a CIA-trained chef knows that unique flavor and appeal allow for new menu creations that patrons will crave. GET INSPIRED SCHMACON™ helps you add new and appealing offerings your patrons will be clamoring to try. LOWER CALORIES, FAT and SODIUM means it’s easy for guests to say “yes” to SCHMACON™.